Reporters are still waiting for answers about UMD’s review of the chocolate milk study. For University of Maryland (UMD) public relations officials who’ve been buried beneath an avalanche of criticism of late, a story in Sunday’s Washington Post would appear to signal an intent to start digging out. As regular readers of this blog know, University officials were beset by critics following the distribution of a news release featuring questionable claims — the most troubling of which is that a certain brand of chocolate milk improves the symptoms of concussions in student athletes. Sunday’s Washington Post story, which features new information about a University review of that news release and the study that prompted it, seems to end the stonewalling of the news media who’ve been beseeching UMD to answer more questions about the investigation. But as is often the case in these situations, the apparent good news of this release of information in fact only reinforces how poorly UMD has managed this case. The back story on this most recent disclosure raises new questions about the University’s commitment to conducting a thorough and transparent investigation. In reality, what O’Shea has mainly been doing is dodging reporters’ expected questions and redirecting them to Crystal Brown, UMD’s chief communications officer, who has simply refused to give other reporters information which O’Shea ultimately gave to the Post. This is a troubling strategy on O’Shea’s part, not only because of the favoritism it shows toward the Post. It’s troubling because O’Shea’s new disclosures barely scratch the surface of what the public can and should know — at this very moment — about the investigation of the chocolate milk study and news release that are at the heart of this controversy. While providing a gloss of new details (e.g. the investigation will happen “quickly”), the Post neglects most of the key issues that the University should be proactively addressing about how its review will be conducted. We at HealthNewsReview.org had contacted O’Shea soon after we reviewed the University’s news release about the study. Andrew Holtz, one of the release’s initial reviewers, emailed O’Shea in late January and was referred to Brown who told him a “review” would be conducted but offered little more. Holtz blogged about his difficulty in gaining information here for HealthNewsReview.org. I had contacted O’Shea about the same time, having dealt with similar cases at other universities, and posed similar questions. O’Shea emailed his phone numbers, asking me to call, and then reneged on his invitation when he was reminded I was asking as a reporter, not offering to consult. Sarah Gantz of the Baltimore Business Journal, who wrote some of the best and earliest stories on this situation, repeatedly contacted Brown with questions for O’Shea but Brown failed to provide specific answers. The research involved high school students, athletes in a local school system. Federal regulations, as well as those of the university itself, demand that the parents of students – children, really – give informed consent prior to the study. A research “protocol,” basically a recipe for how the study would be done, would have had to be approved by the university’s Institutional Review Board, or IRB, and that information should be readily available. Early in the reporting of this work, once the institution announced it would conduct a review, O’Shea was quoted saying that the review would be comprehensive, covering all aspects of the work. To other reporters, he said the review would only involve decisions related to the production and dissemination of the news release touting the work. Neither O’Shea nor Brown have addressed this discrepancy. While Maryland, as well as many other public research universities, has industry partnerships intended to fuel the economic engine of the state, the institution also has policies that ostensibly oversee such work. Faculty and staff have to complete an Annual Report of Outside Professional Activities which would identify any real or perceived conflicts of interest. That form should answer whether the main researcher, Jae Kun Shim, had any conflicts involving the work or his arrangement with the sponsor of the research. Aside from its earlier missteps in this episode, the University of Maryland has compounded its problem and made its goal of being trustworthy in the public’s eyes even more difficult. While reporters have been pressing the institution for weeks to be more forthcoming with information, it selectively chooses the Post, a “prestige” news media outlet, to release the latest information. In public relations circles, this strategy supposes that playing nice with the major media will net more sympathetic coverage in the long term. Decades ago, when “news media” basically meant newspapers, magazines and a few broadcasters, this approach was widely used. But in today’s world, where the media is everywhere, that strategy may win you one friend but it creates countless critics. And public research universities are not supposed to show such favoritism if they truly are working for the public good. The Post’s readers should not be the only ones privy to information on this critical issue that cuts to the heart of the university’s mission. Information on health and medical research differs from other messages sent from research universities. It is integrally linked to the lives and welfare of the public. It’s not a marketing tool to be used to the advantage of an institution. Maryland could have avoided all of this simply by being open and transparent in the beginning. And failing that, the University could now minimize the damage to its reputation by answering specific questions from reporters about the process and scope of the review that’s being undertaken. Instead, they seem to be doling out small morsels of information to select outlets while ignoring tough questions from the rest of us. It’s a strategy that gives the illusion of greater transparency while keeping the stone wall firmly in place. Earle Holland is the former Assistant Vice President for Research Communications at Ohio State University. He’s now one of our regular reviewers and blog contributors. “It is very important that we understand fully what happened and how this partial study was released to the public prior to peer review. Why won't the University of Maryland talk about the chocolate milk/concussion study it was so eager to promote? I hate to bring this up, but you guys are sounding a little too bitter about not getting the info first. The Washington Post got some answers before you and now you’re pouncing on the university for favoritism? That’s not fair. I worked for a state government long enough to know how these things work (UM is a state university; same rules apply). 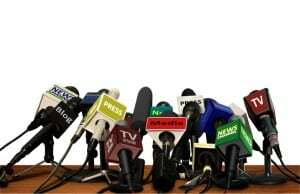 Negative publicity causes a chain of events where a person high up in the food chain takes over and says that no one is allowed to talk to the press but them. But that person often has not a clue about what really went on or what it’s even about so it takes them a while to figure it out. Journalists shouldn’t get upset that their e-mails are unanswered for hours. It’s typical bureaucracy. You mentioned the “Annual Report of Outside Professional Activities”. You are right that those reports are public information. However there are certain protocols you have to go through to obtain them. You can’t just call up any university employee and tell them to hand them over immediately. State employee salaries are public information as well, but that doesn’t mean you can call up any state employee and ask them how much money they make. You have to submit an official request to the agency, which gets routed through multiple offices, including the attorneys, and then your request is fulfilled. Welcome to state government bureaucracy. 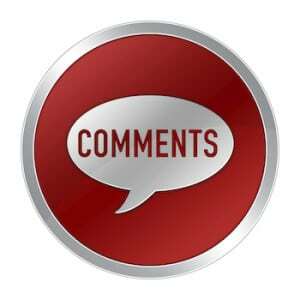 Thanks for commenting and, although I disagree with all your points, I appreciate you taking the time to comment. As to your concern that we might be angry from simply being “beaten” by the Post, you’re categorically wrong. We’ve been taking issue with the University of Maryland for weeks since they first distributed a news release and then refused to provide routine information on the work. 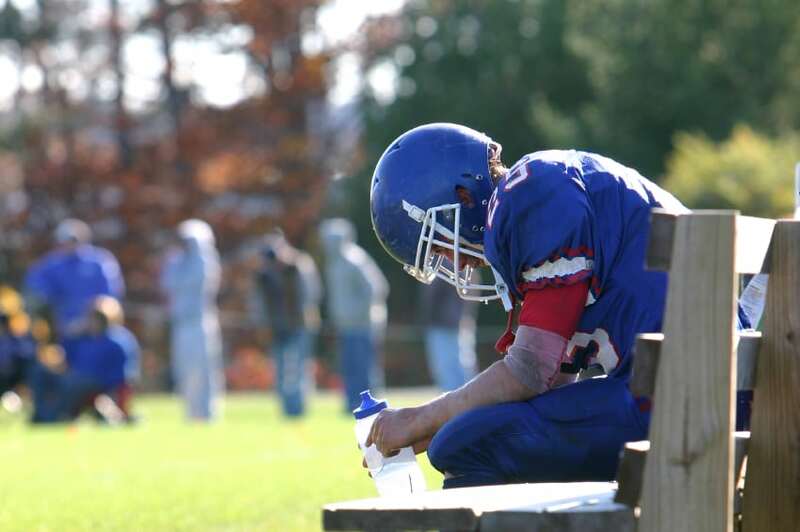 See this earlier blog entry (https://www.healthnewsreview.org/2016/01/why-wont-the-university-of-maryland-talk-about-the-chocolate-milkconcussion-study-it-was-so-eager-to-promote/) and this one (https://www.healthnewsreview.org/2016/01/how-universities-can-avoid-the-next-chocolate-milkconcussion-debacle/), as well as the posting that elicited your comment. As to your suggestion that delays are simply a product of institutional bureaucracy and we ought to know better, you’re wrong as well. I’ve handled research communications at two large public research universities for 40 years and consulted for at least a dozen more. For the last half of that, I was the lead official dealing with research risk episodes at Ohio State University. Trust me — the bureaucracy there dwarfs that of Maryland and we were able to respond quickly and openly to information requests in cases like this. What it takes is a decision by leadership to actually be open and transparent, not to just try to appear that way. Jeff, this is not rocket science. Public universities have a responsibility to be open to public inquiry. Public records laws, like Maryland’s Public Information Act, were passed to insure that citizens, including the news media, gain access to records kept or received by public agencies, including public universities. The laws are there to provide legal access to records the agencies might prefer to withhold. There is no mandate that agencies withhold public records — they have the option to release any when requested. Whether they do is usually dependent on the willingness of the management of the institution, or of a particular unit of that institution, to inform the public. You said, “Journalists shouldn’t get upset that their e-mails are unanswered for hours. It’s typical bureaucracy.” We at HealthNewsReview.org have been seeking answers to some very basic questions for weeks, not hours. Blaming the tectonic pace of bureaucracy for delays in releasing information is not acting in the public interest. Information on the institution’s IRB review of this project, the main researcher’s annual COI form, progress reports or a final report on the study, and other requested information are all sitting in files or on computers at the University, easily available upon request, and only the reluctance of institutional officials is keeping them from being made public. Usually, delays arise because there is a fear of embarrassment about what those documents include. Officials at public institutions and agencies should worry first about their obligations to the public rather than protecting themselves or their organization from embarrassment. The concerns we at HealthNewsReview.org have raised about this episode are anything but sour grapes. The University of Maryland issued a press release touting a commercial product that allegedly is beneficial for concussion recovery. Then it refused to provide additional information so that those claims could be evaluated. The lead investigator became unavailable, the senior research administrator refused interviews, and the institution declined to answer questions about the methodology of the research and its conclusions. Then when it announced a “review,” it offered conflicting explanations of the review’s scope and refused reasonable requests for available information. These are not the actions in the public interest. Yes, bureaucracies are cumbersome and slow to respond, but they don’t have to be. There is no legal reason supporting these delays and the public deserves better from its flagship institutions.